Wiley and Fitch Learning offer an invaluable self-study guide to passing one of the most sought-after designations in the finance industry. 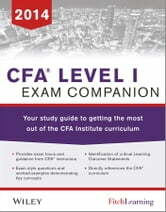 The CFA® Level I Exam Companion acts as a guide, assisting candidates to navigate through the wealth of CFA level I content, prioritising key areas of the official CFA texts. 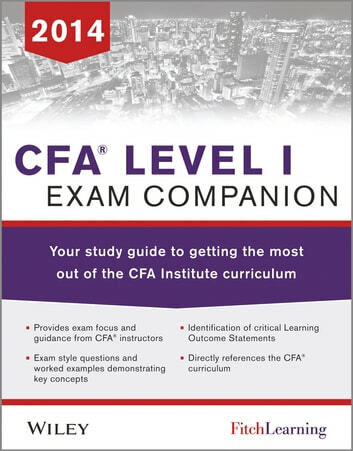 The Exam Companion has been written by Fitch Learning’s experienced CFA® instructor faculty, who know what it takes to pass. - and the FitchLearning CFA Digital Study Course.